One of the first things I noticed about the ST6 is that the anodized finish was a bit different from other lights I have used. 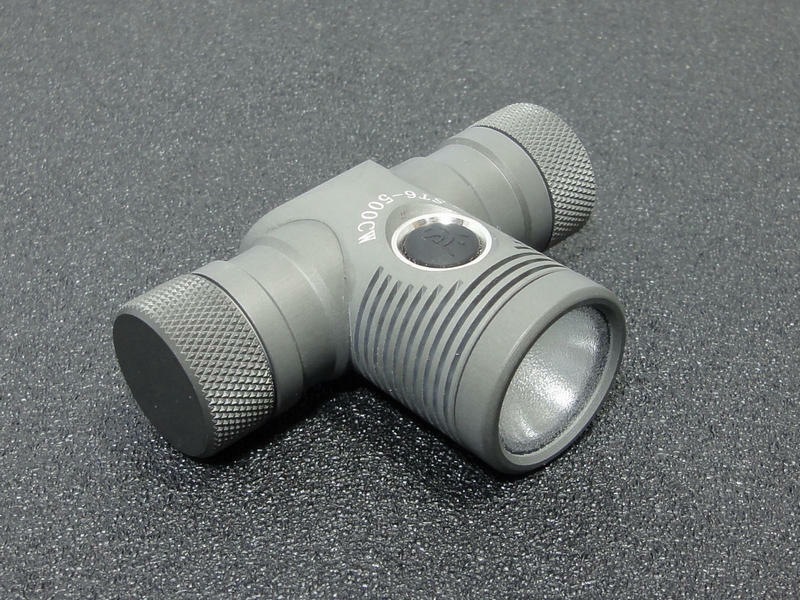 It has a more bead blasted rough finish to it, instead of a smooth somewhat glossy hard anodizing. I liked it alot due to the fact that it provided a nice grippy feeling surface. The knurling on the battery compartment end cap was fairly aggressive and provided alot of grip for screwing the cap on and off. I have the 500CW version of the ST6, this is the most powerful version with a Cool White Tinted LED. 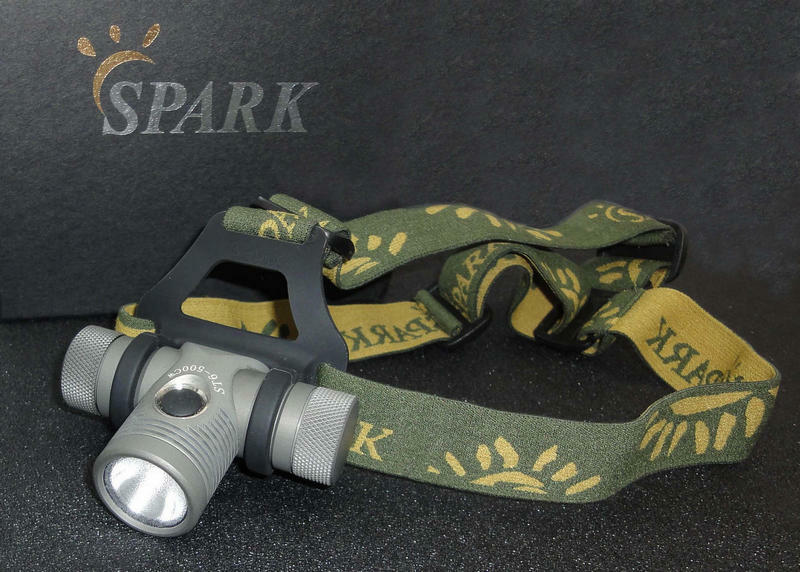 Spark also offers a "Neutral" White version that has a warmer tint, with slightly less lumen output. The ST6 was about the size I expected it to be for an 18650 (or 2xcr123) powered light. The weight wasn't bad at all either. 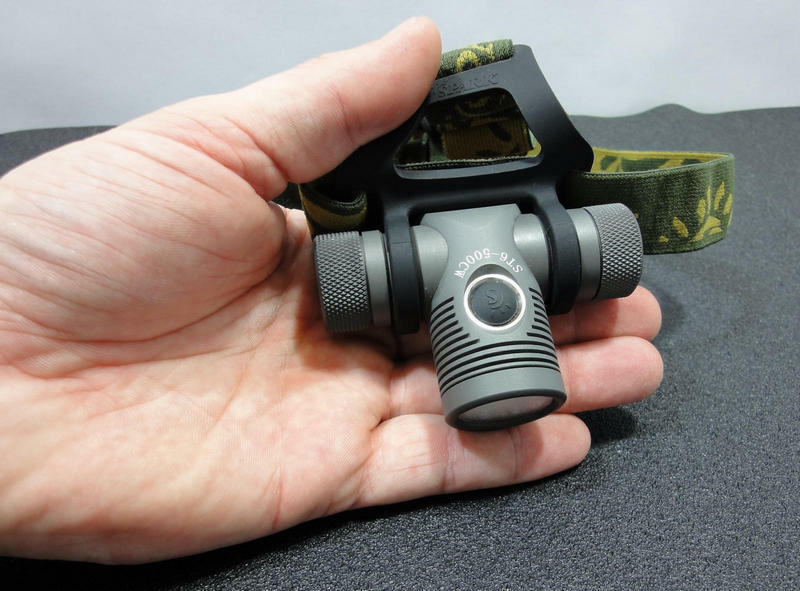 It can feel a bit front heavy compared to other headlamps that use a separate battery compartment behind the head. But I personally think that they can be quite bulky at times, and I like the small portability of an all in one system. The rubber mount for the ST6 holds the light in place very well, keeping it in place once you rotate it up or down to the position you like. 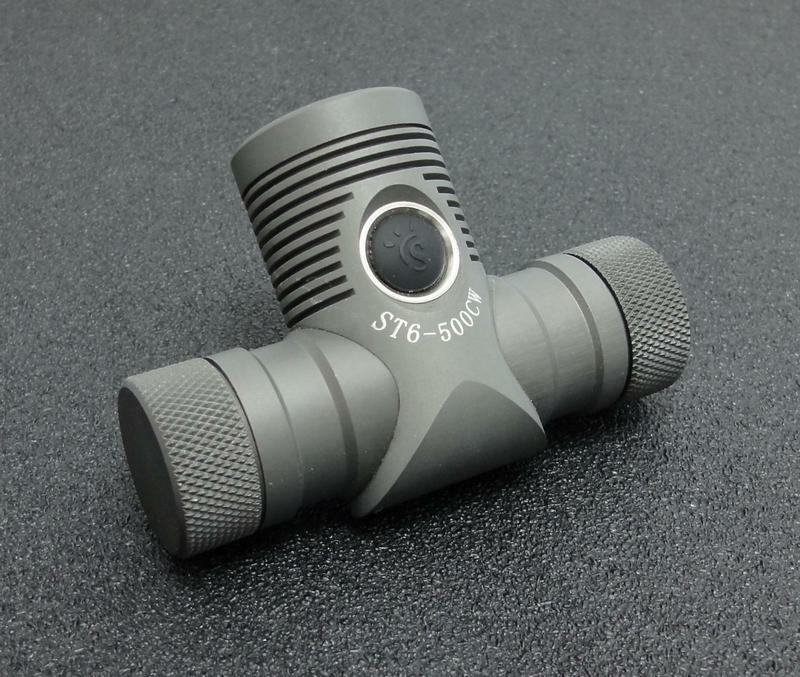 As I mentioned above, the ST6 has a nice grippy surface finish, and the knurling is on the aggressive side. Though this is not as much a concern with a headlamp. The head strap seems to be made well and is a typical 2 strap design, with a strap running around the head, and one over the top. You can adjust both straps to fit you properly. I found it to be very comfortable to wear even for long periods. I found no issues with the build quality of the ST6. The machining is well done, and the threads seem precisely done without being too tight. The spring contacts for the battery also seem to be well made, and hold the battery in place very well with no rattles. I see no problems with the head strap either. The rubber mount seems to be a bit stiffer and tougher rubber than used on the Zebralights. One feature I think is pretty neat is the ability to load the battery in either direction, positive or negative first. The light doesn't just have reverse polarity protection, it works with the battery loaded either way. This would be nice in a situation where you have to change the battery in total darkness, such as caving. The ST6 has 5 output levels, 4 main ones that are cycled low to high by pressing and holding the switch, and Super Mode that is activated but double clicking. The switch is very easy to operate, even with gloves. 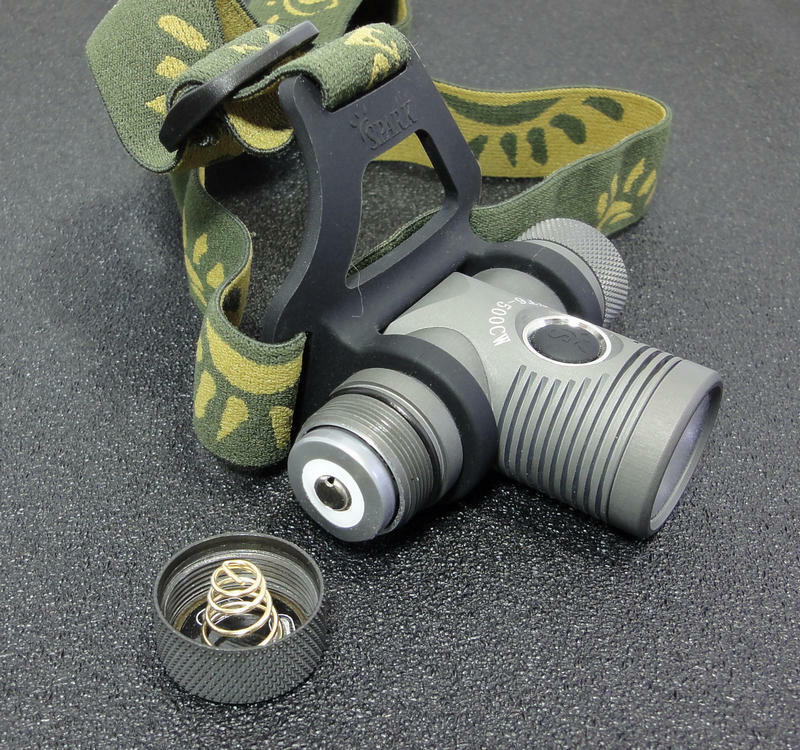 The battery compartment cap can be loosened to act as a lockout, so that the light will not accidentally be turned on it just tossed in a backpack. Super Mode will only run for 5 minutes and then step down to High. This is to protect the light and the led from over heating, as well as not over stressing the batteries. In fact, not all 18650 cells can support Super Mode due to the high amperage draw. 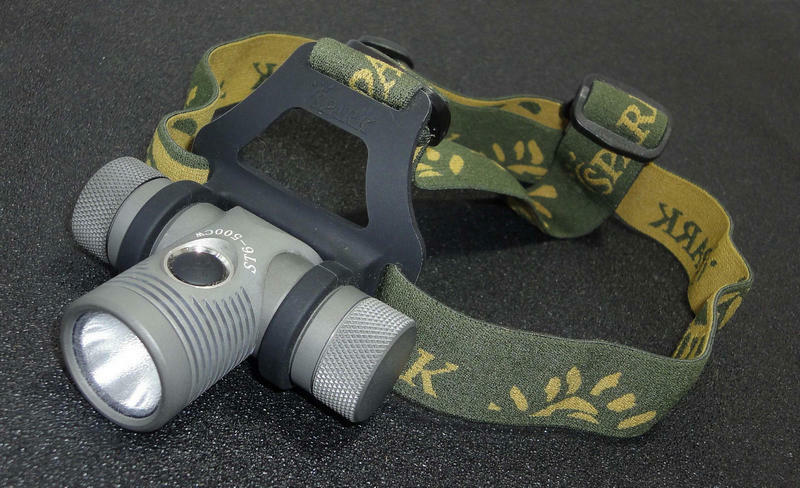 Low mode is just 8 lumens, which is really nice for night adapted eyes. 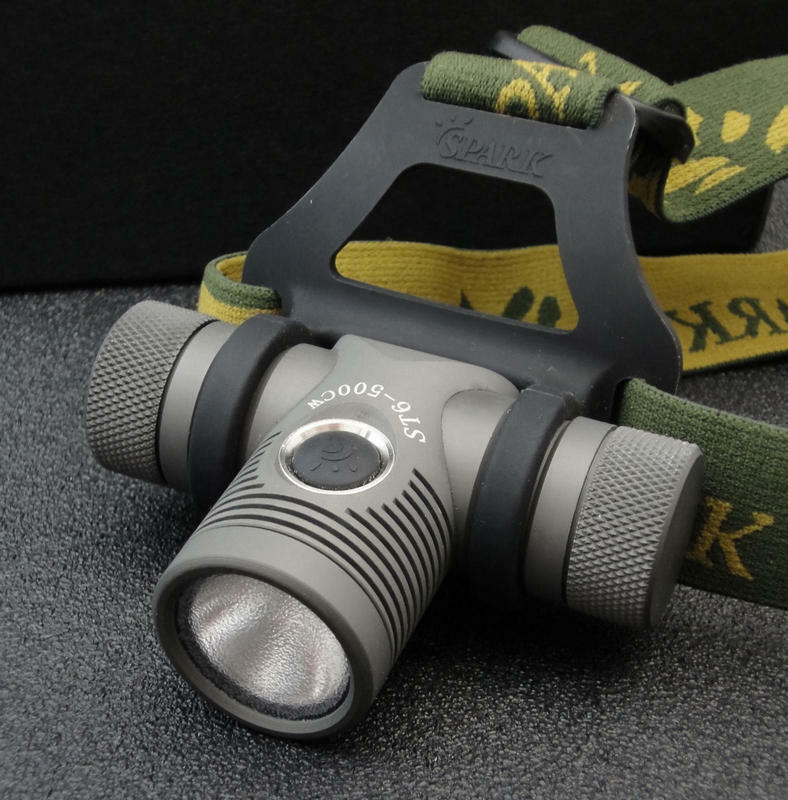 Too often lights do not have a low enough low mode, and honestly sometimes even less than 8 lumens with totally night adapted eyes would be nice. The beam pattern is a nice mix of spill and hotspot. The medium sized hotspot fades out to the spill fairly well. I purchased the ST6 when it was first released, so I did not receive the frosted lens option which is now included. instead, I used a piece of adhesive textured film that I have used on other lights. This made the ST6 the perfect headlamp in my eyes. I prefer a headlamp to have a large hotspot that fades out very smoothly to a wide flood. I imagine that the included frosted lens option would accomplish this quite well also. I noticed no heat issues with the ST6, even on Super Mode. The light did get a bit hot, but nothing out of the ordinary for a high powered LED light. The fluting grooves on the head seem to do well at dissipating the heat. 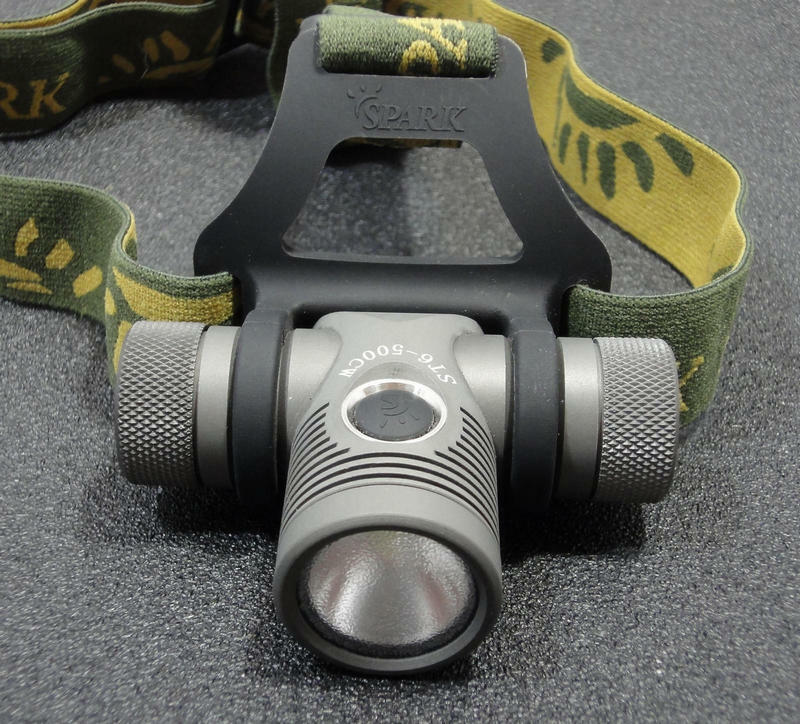 I have used alot of headlamps over the years, but I have to say that overall this is my favorite. I have some that are smaller and much lighter, such as my 1AA Zebralight, but as an all around, can only have one, I would choose the Spark ST6-500CW. I personally like the all in one setup, I find it to be much easier to carry or pack with me. I also think that as far as runtime goes, an 18650 cell light is a perfect mix of runtime and size. I was impressed with the ST6 enough that I ended up purchasing the Spark SL5 and SL6 handheld lights as well. Below photos are shown the the textured adhesive film that I applied to the lens.